Based on the 1910 horror novel by Gaston Leroux, which has been adapted into countless films, The Phantom of the Opera follows a deformed composer who haunts the grand Paris Opera House. Sheltered from the outside world in an underground cavern, the lonely, romantic man tutors and composes operas for Christine, a gorgeous young soprano star-to-be. 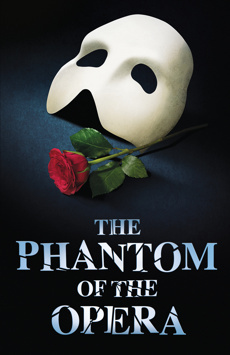 As Christine’s star rises, and a handsome suitor from her past enters the picture, the Phantom grows mad, terrorizing the opera house owners and company with his murderous ways. Still, Christine finds herself drawn to the mystery man. Audiences agree—The Phantom of the Opera is Broadway’s longest-running hit. Ever.